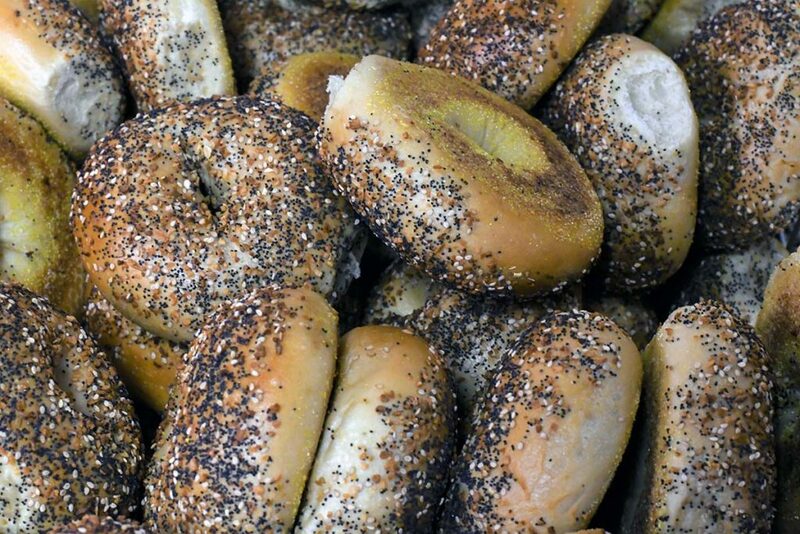 Our love of bagels began in 1996. While searching for a delicious product that would be a worthy complement to our carefully-crafted coffee, we soon realized fresh-baked bagels were the optimal choice. Our goal was to create a powerhouse pairing that would rival the donut and mass-produced coffee combo that fuels American culture. From the mixing bowl, to the bagel former, and ultimately into the eager hands of our customers, we oversee the entire production of our bagels with the same commitment to quality that we invest in our specialty coffee. Mixed, rolled, prepped and freshly-baked in our kitchens daily, our premium bagels are crafted with care and consistency. Using only the finest ingredients, our NYC-inspired bagels are big, crusty, chewy, and loaded with toppings. Stop in at any of our 3 locations to experience one of our freshly-baked bagels with your favorite cup of coffee. 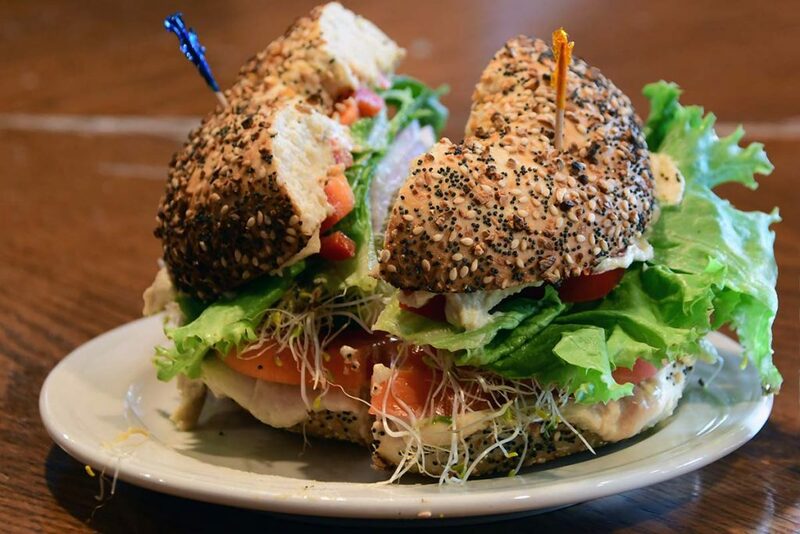 Whether you enjoy it plain, slathered with one of our many house-made cream cheeses, or showcasing a custom-made sandwich, you will savor the difference in these truly uncommon bagels!